Hurricanes, fire, and other disaster happen. We want you to be prepared along with our friends at Hill’s Science Diet, who have put together some helpful tips during times of disaster. 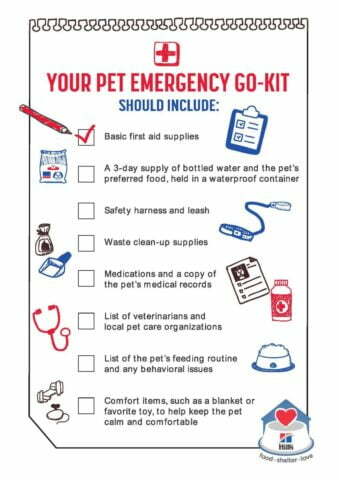 Click here to download your Hill’s Pet Emergency Go-Kit Checklist and your FEMA Prepare for Emergencies Now brochure and be safe out there!